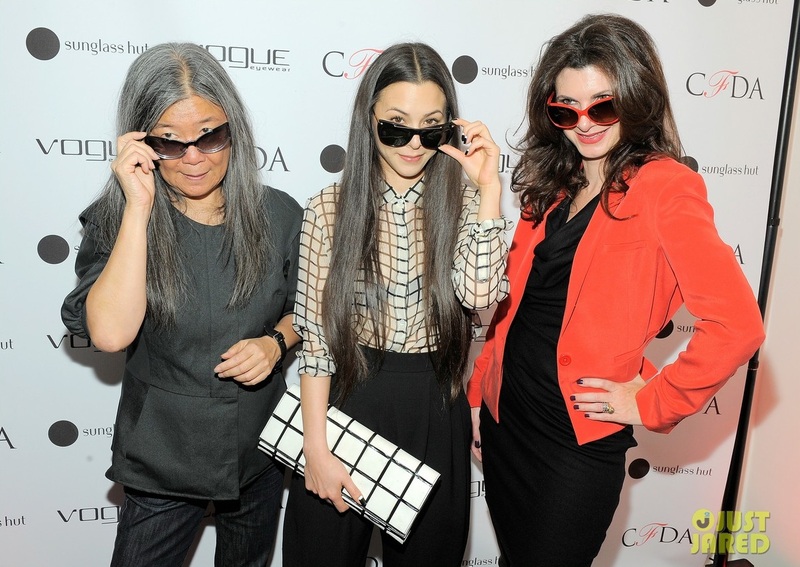 Actress and model China Chow was spotted attending the 2nd annual Vogue Eyewear/CFDA “City Collection” capsule launch on Tuesday (September 27) at the Sunglass Hut Flagship in NYC. She carries a black and white square patterned Balenciaga clutch from the current F/W 2011 season. Her rectangular clutch is simple but remains elegant for the event and even matches her cute blouse! It's definitely an exciting time in the fashion world since it is Fashion Week in Paris! Loving some of these shots from the guest arrivals at the Balenciaga Runway 2012 S/S Show. Maïwenn Le Besco wearing the quilted moto jacket and neon pink lizard embossed City! Gorgeous! Salma Hayek looks amazing in a copper colored dress while attending the Balenciaga Ready to Wear Spring/Summer 2012 runway show today in Paris, France. She matches her outfit by carrying a stunning brown croc Envelope Clutch with Classic Hardware. It must be so nice that hubby Francois Henri Pinault is chief executive officer of PPR! Some shots from the runway show. The guests ended up standing because a few of the benches collapsed on them while sitting. Poor fashion editors! It looks really cool nonetheless! It would be a dream come true to attend this show. Source NY Times Blog. One of my favorite people from Nordstrom, Leslie, manager of the handbags section in Bellevue Sq. has given me a list of what is on order for Holiday and Spring 2012. We are still anticipating the color swatches, so I will post as soon as they are released on the web. Thank you Leslie! Feel free to contact her if you need anymore information. Some things that are interesting is the grainy calf leather which is a new thing for Balenciaga besides the calf skin for the Papier range. Rumors also have been swirling that they will bring back a smoother goat skin leather for certain styles as well. We shall see soon! Beautiful Charlize Theron was spotted arriving at LAX on September 24, 2011. She looks casually chic with her gorgeous S/S 2010 Moutarde Color Giant Hardware Work bag. Moutarde is what exactly describes it; a mustard yellow color just like the condiment! 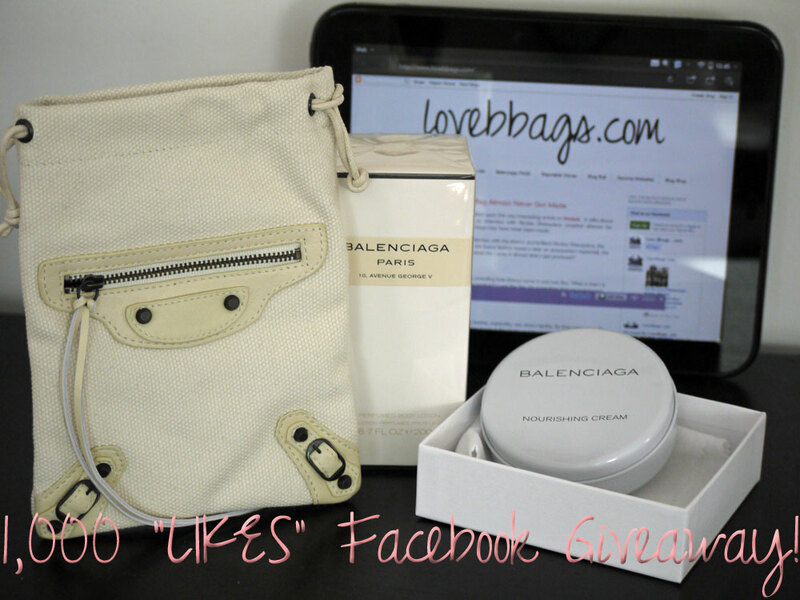 Don't forget to enter our giveaway for 3 Balenciaga goodies that ends on Wednesday! Yay for a 1,000 Facebook likers! To celebrate we are holding a giveaway for a drawstring canvas pouch, full sized Balenciaga nourishing cream for your bag and a full sized Balenciaga Paris Lotion for yourself! Giveaway is opened to all. To enter, leave comment and like the Facebook post! I will randomly pick a winner on Wednesday 28th midnight eastern time. I will tally up all the entries on a spreadsheet and pick the winner through random.org. Nicole Richie was spotted at LAX on September 22, 2011 after celebrating her 30th birthday. She keeps it casual and comfortable by wearing an all black ensemble. 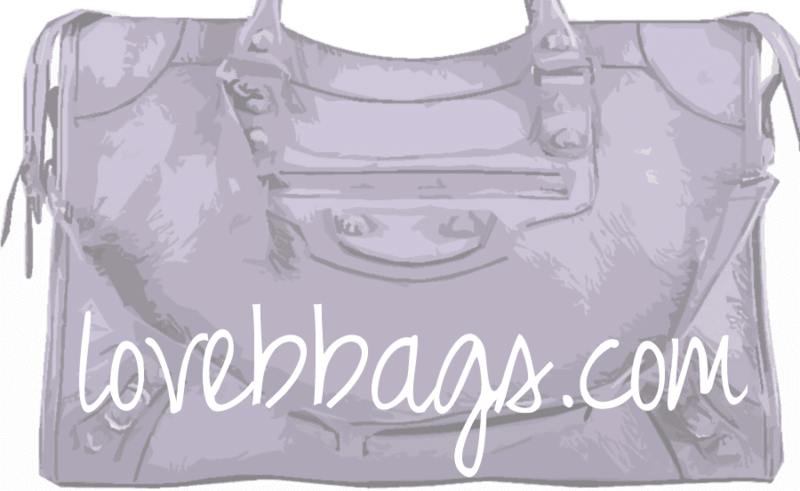 Her choice of carry on bag is a Balenciaga Classic Weekender in a crisp white color. A Weekender bag would be my dream travel bag! Jennifer Connelly was spotted on the red carpet at the Every Woman Every Child MDG Reception, held at the Grand Hyatt Hotel on Tuesday September 20, 2011 in New York City. She dons a chic all black ensemble with a suede Balenciaga Lune clutch from a couple seasons ago. Jennifer recently gave birth to daughter Agnes in June. Gwyneth Paltrow carries a similar version clutch to an event last year. Dakota Fanning was spotted going to school in Greenwich Village, NY on September 20, 2011. She carries two gorgeous bags, a Balenciaga Sunday Tote in the large size and a Proenza Schouler PS1 Pouch! I love her casual back to school look. Lo Bosworth was spotted looking weary and tired while leaving Mastro's Steakhouse in Beverly Hills on September 19, 2011. Her sophisticated look has a bit of an edge to it since she pairs it with a leather pencil skirt and black Rose Gold City bag. The Rose Gold City has become the newest classic staple bag that one should have in the wardrobe! I was browsing around fashion websites and stumbled upon this very interesting article on Racked. It talks about WWD (Women's Wear Daily) magazine having an interview with Nicolas Ghesquiere (creative director for Balenciaga). He explains why the iconic Motorcycle bags may have never been made. "Today's WWD Accessory magazine features an interview with the elusive and brilliant Nicolas Ghesquiere, the creative director of Balenciaga. 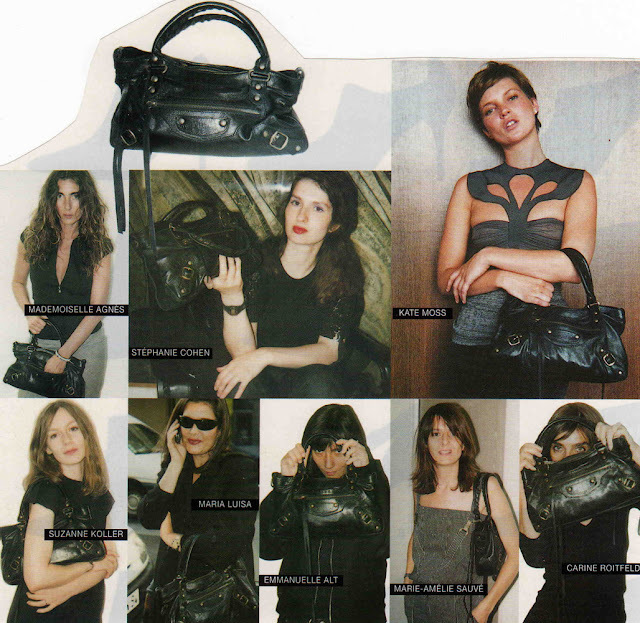 In it, he talks about the luxury fashion house's take on accessories—especially the It-bag. Did you know that when Balenciaga first created the Lariat, it almost didn't get produced? N.G. : Yes. Every girl who was walking [the show], including Kate [Moss] came in and was like, ‘What is that? Is it vintage? Is it something that you found at the flea market?’ I was like ‘No, it’s a handbag that we prototyped but just didn’t produce.’ We didn’t produce it because I think when I showed the prototype to the people who asked me to do it, they weren’t happy with it. N.G. : Accessories [at the time] were rigid. 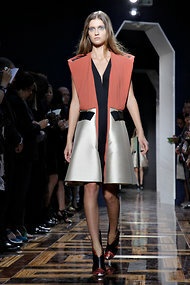 Luxury leather, especially, was about rigidity. So they were not really happy, and they decided not to produce it. Then when it was in the studio and the models noticed it, I said, ‘I think we should just do 25. Let me just give them to the girls because at least some people will be happy.’ And that product started from a very, very fashion point of view [and extended] to a very, very large, global audience. WWD: Why do you think it resonated so dramatically? N.G. : No logo. Very light. Very effective. There is something familiar with the vintage side. Women and girls thought it was something they’d always have. It was a new fresh thing, but it looked like an old, good, friendly thing. And I think the brand also was becoming desirable. People had desire for my goods and [the bag] was the most accessible piece. You could be a Balenciaga girl with that bag." Another Balenciaga shop is born in the US this month! This time it is at the Bal Harbour Shops in Miami, Florida. It is definitely a smart move on Balenciaga's behalf since it is definitely an ideal travel destination and also has a major port for cruise ships! "Bal Harbour Shops is no stranger to fellow luxury retailers– Celine, Chanel, Hermes, and Oscar de la Renta are a few of neighbors to welcome the new Balenciaga shop. The new 1,000 sq foot Balenciaga shop is among a handful of Balenciaga shops in the United States and around the globe to house a freestanding location, which showcases Women’s Ready-To-Wear, leather goods, jewelry, shoes, fragrances and their futuristic sunglasses. 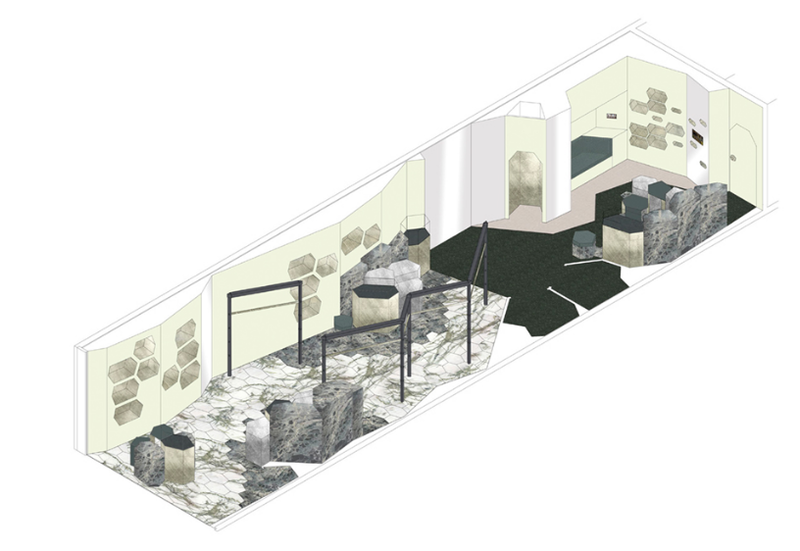 The brands widely known futuristic theme will carry over from the runways to the interior design of the store. WWD reports that, the French owned fashion house is in collaboration with contemporary French artist Dominique Gonzales-Foerster and the “Accessories are housed in gold- and silver-leaf lined cubbyholes, or propped on white plinths resembling icebergs. Floors are paved with black and white marble — or olive green carpeting.” Sounds like perfection, right? The fashion footprint of the Balenciaga Fashion House is among the most prestigious–Can’t wait to check out Balenciaga Bal Harbour." So I finally received enough photos for another readers and their Balenciagas post! This time we have some stunning photos of newly purchased beauties. A big thank you to those who participated this time! First off, lovely Yun from Kiwi's Fashion Blog has sent in a gorgeous photo of her with a stunning Outremer Classic City. I love the detail on her sandals! Please check out her personal style blog for more great photos. Marie shares a photo of her beautiful black Suede Classic Part Time. She says her choice of bag was inspired by Kim K's black Suede City! Beautiful Rissian shares great action shots of her F/W 2011 bags, Coquelicot Classic City and Bleu Lavande Rose Gold City. If you want more great photos and fashion reviews please subscribe to her YouTube channel at luvhellokitty77. 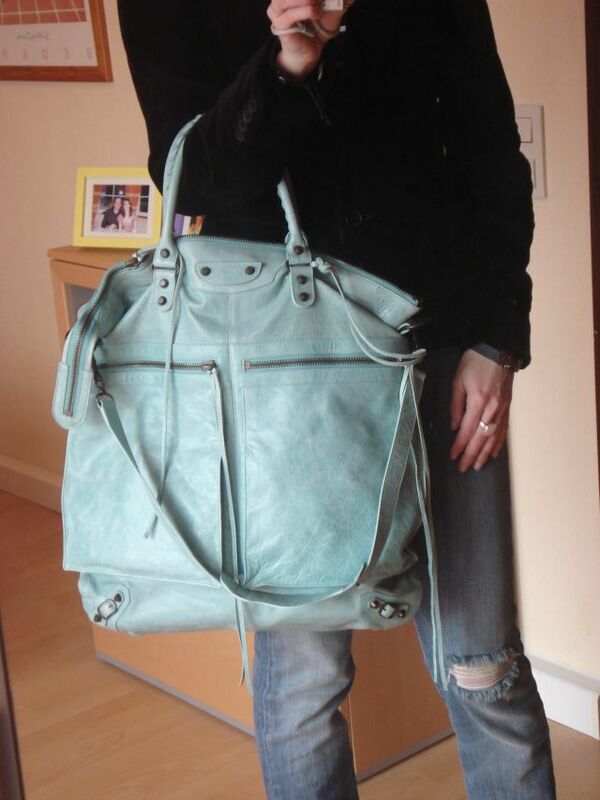 Kerstin shares with us another great bag! This time it is a 2009 Maldives Classic Square Tote! She says it's a great bag for traveling and shopping sprees! Kourtney Kardashian has also been spotted carrying the Square Tote. T from Initialed shares with us a great photo of her new S/S 2011 Mimosa Hip with Giant Silver Hardware. It is a real cutie that is a bright pop of color! Check out her personal style blog for more great photos. As we near 1,000 Facebook "Likers" on our page, I will be holding another giveaway exclusively on our FB page.. so stay tuned! We have several celebrity sightings so let's get started! Katie Couric was spotted at the 2011 Toronto Film Festival on September 13, 2011 wearing a black Lune clutch. This clutch exudes a very classic and sophisticated vibe. The Lune line has been discontinued for a few years now but you may be able to find some left overs at the Balenciaga outlet at Woodbury Commons or on secondhand retailers. Kourtney Kardashian goes shopping wearing her Sahara ballet flats at Bergdorf Goodman on September 13, 2011. I love how she pairs a beautiful dress with these casual shoes. Fergie was spotted at LAX on August 25, 2011 wearing a gorgeous print blouse from Balenciaga's F/W 2011 collection. I love all the colors! Expectant Hilary Duff was spotted leaving her pilates class in Los Angeles, California on September 14, 2011. She carries her S/S 2011 Militaire Classic Work which is a nice contrast against her black outfit. Once again Hilary Duff and husband were spotted shopping at Chanel on September 13, 2011. Hilary looks casual chic in a jersey maxi skirt and beanie. She carries her black perforated Classic City. PS. I need a few more pictures for the next readers and their Balenciaga post. If you're interested please email them to me at balenciagaloving@gmail.com. Thank you!